Its not all Bolognese and lasagna in Milan, there�s a thriving gastronomic scene wherein culinary visionaries are trying out new concepts ideas. One of the best examples of this is Pietro Leeman�s Joia. An vegetarian establishment that respects nature and seeks to allow its guests to �experience� it full on. It�s modern elegant ambience gently contrasts pale tints with relaxing stone and woods, thus preparing its clientele for an avant garde cuisine that is closely based on the essence of nature. The dishes have names that are the point of departure for ideas which are then developed in the dishes themselves such as the apparent egg or renaissance ravioli. 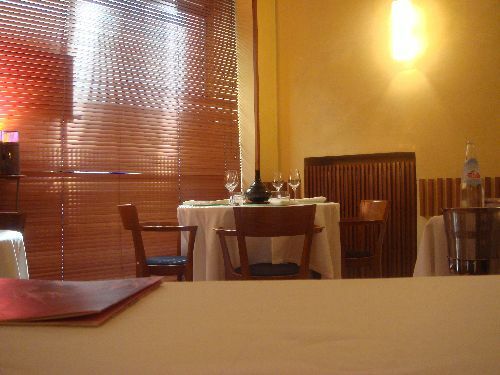 For a truly zen-like foray into a very different wholesome fine-dining experience Joia fits the bill perfectly.